Jordan Brand is looking to end the year with a bang with their impressive lineup of new and retro kicks, which includes the Air Jordan 4 “Thunder” that is set to make a comeback later this month. Released in 2006 and made a huge impact that time, the Black/White-Tour Yellow silhouette was originally slated for release earlier this month, but the release date was pushed back to December 22. 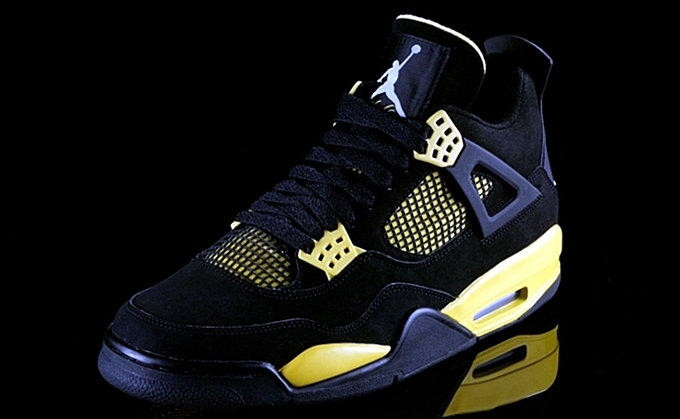 This eye-catching kick is expected to make waves as it features a black nubuck upper part with vibrant yellow touches. This could be released on a limited-basis so don’t miss a beat and grab your own pair immediately!